Gouin Reservoir is one of the perfect fishing destinations in Quebec. 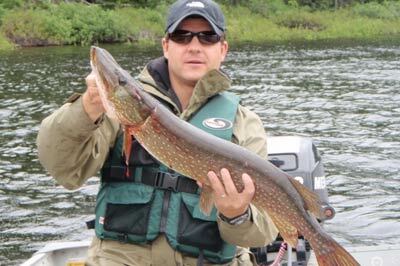 There are many Gouin Reservoir fishing guides and Gouin Reservoir fishing charters that will help you hook that prize fish that you’ve been seeking out on your latest fishing excursions. The Gouin Reservoir (in French: Réservoir Gouin) is a man-made lake in the central portion of the Canadian province of Quebec, fully within the boundaries of the City of La Tuque. It is not one contiguous body of water, but the collective name for a series of connected lakes separated by innumerable bays, peninsulas, and islands with highly irregular shapes. 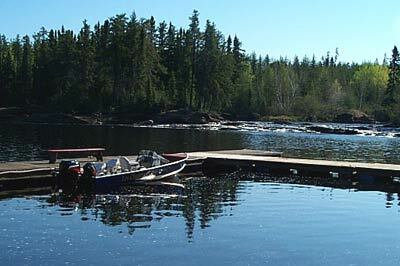 You’ll want to hire a Gouin Reservoir Fishing Guide or Gouin Reservoir Fishing Charter company as there are no paved roads into the reservoir, and the best spots can be hard to get to. Contact us for Gouin Reservoir Fishing Guides and charters or other locations in Canada, Mexico or United States. Reel Adventure are your Fishing Charter and Fishing Guide industry professionals and we are right here to assist you with all of your fishing wants, from locations and hotspots to basic details and news.